How Far is Divya Panchamukhi Sundeep Grand? 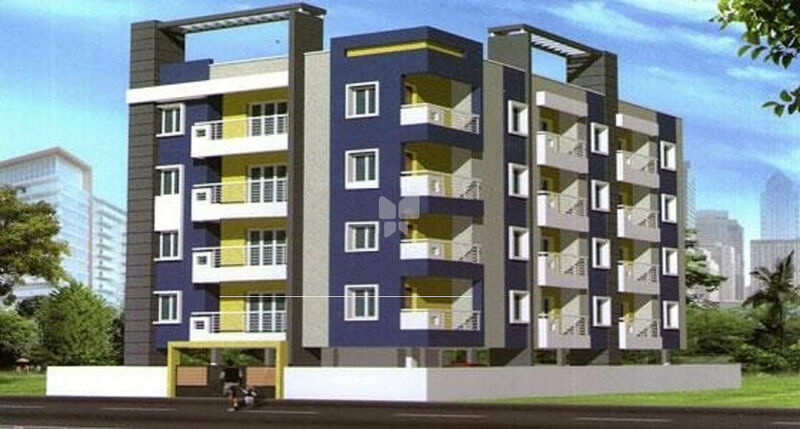 Divya Panchamukhi Sandeep Grand is one of the popular residential projects that is located in Raja Rajeshwari Nagar, Bangalore. Developed by Divya Properties, this project offers thoughtfully constructed 2BHK and 3BHK apartments with modern amenities for the comfort of residents. Adding to this, it is situated close to the market, hospital and many educational institutions. 1:5 C.M. with lime rendering smooth finish for internal wall and external wall with smooth sponge finish cement plastering. 24x24 Vitrified Flooring in all rooms and 4 skirting. 7 Height glazed tile dadooing & ceramic tiles flooring common toilet with I.W.C. & attached toilets E.W.C. with flush tank and one wash basin in each toilet. Ess Ess & Hindware fitting and equivalent for taps and etc. P/C, Aluminium window with safety grills. Main Door frame teak wood & shutters, design door with outside brass fitting remaining doors with sal wood frames and flush door shutters. Inside one coat primer with two coats OBD paints and outside one coat of primer with two coats asian paints and enamel paints to doors and window grills. Concealed copper wiring with Anchor Roma Plate switches and necessary points in each room and 15 amps Power plug points in kitchen and toilets. Earthing power plugs/fire resistant electrical wire. 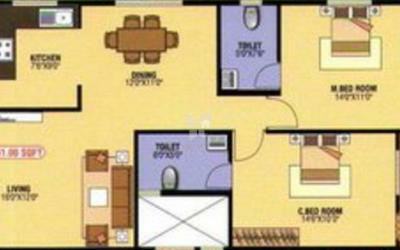 Individual TV & Telephone points in main hall and two bedrooms. Gates shall be provided after allotment of parking depending upon convenience of parking. 24 hrs water deep tube well. Six passengers lift with Back up Generator.Structure: RCC Framed structure. Six passengers lift with Back up Generator.